This property is a must see! 4 flat acres on a no thru road with riding trails nearby! New New New! 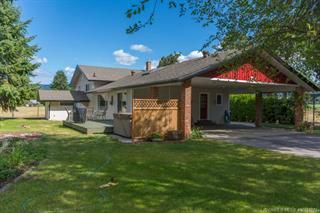 Renovated home throughout in 2014, open concept with a warm welcoming main floor, vaulted ceilings, plenty of natural light and a beautiful master suite. This home shows a 10 out of 10. New hardwood flooring, drywall, kitchen bathrooms, some new windows, paint and more! 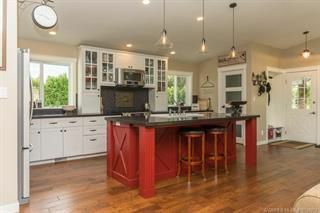 The lower floor has a summer kitchen and could be used as a guest suit or rental. 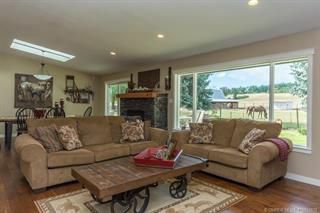 Located on 4 flat private acres with a gated entrance and set back from the no thru road this is a fantastic horse or hobby farm property. No need to trailer your horses to go riding. 25X60 Barn with a loft, workshop, grooming area and a full length covered 15x60 addition for horses and storage. 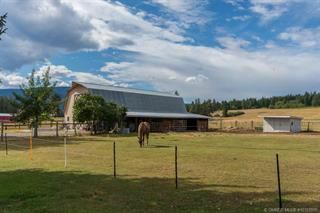 Approximately 2.45 acres in hay and 3 additional pastures. 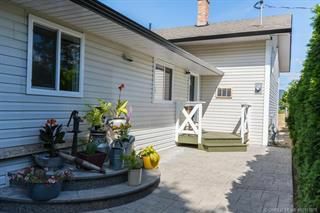 Relax in your hot tub and by the pond at the end of day or entertain friends and family on your patio, lots of room for everyone!